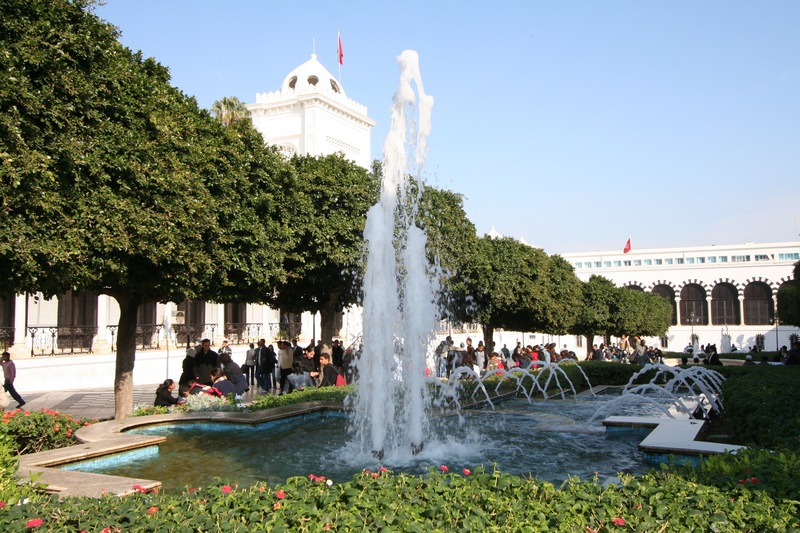 Tunis may well be the ancient capital of Carthage, but it is also the cosmopolitan capital city of modern-day Tunisia. Overlooking the turquoise waters of the Mediterranean, brilliant white buildings luminous under the intense sun, the city has many fascinating districts that provide endless opportunities for exploration. 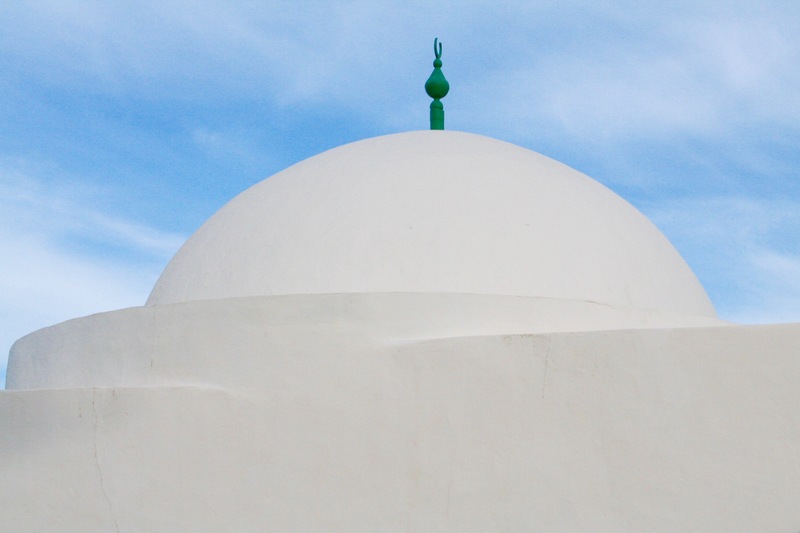 Picturesque Sidi Bou Said, upscale La Marsa, the site of ancient Carthage, and the astounding medieval medina in the heart of the city, combine to make this a place to spend several days. 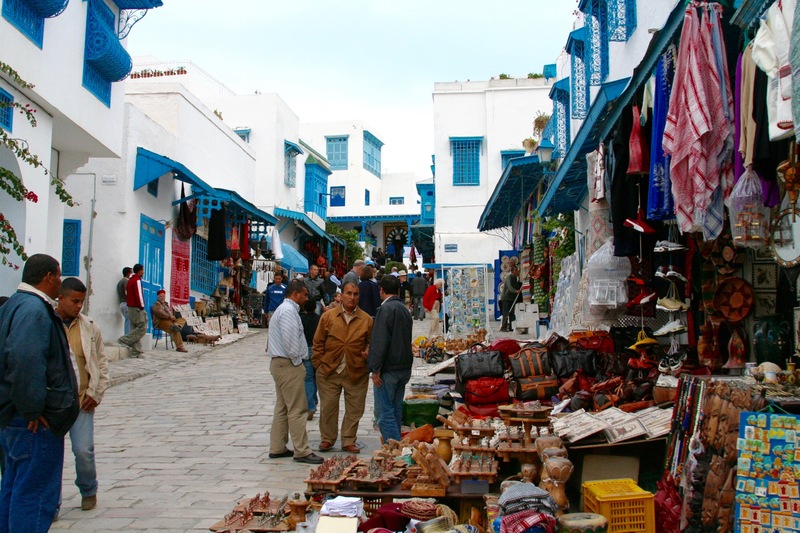 Alas, I had little time to do them justice, spending only a morning in the medina and an afternoon on the coast in Carthage and Sidi Bou Said. The glories of the Bardo Museum were off limits, it was Monday and it was closed. I’ve seen the world’s largest collection of Roman mosaics before, but I’d have liked the chance to see its stunning collection of ancient artefacts again. 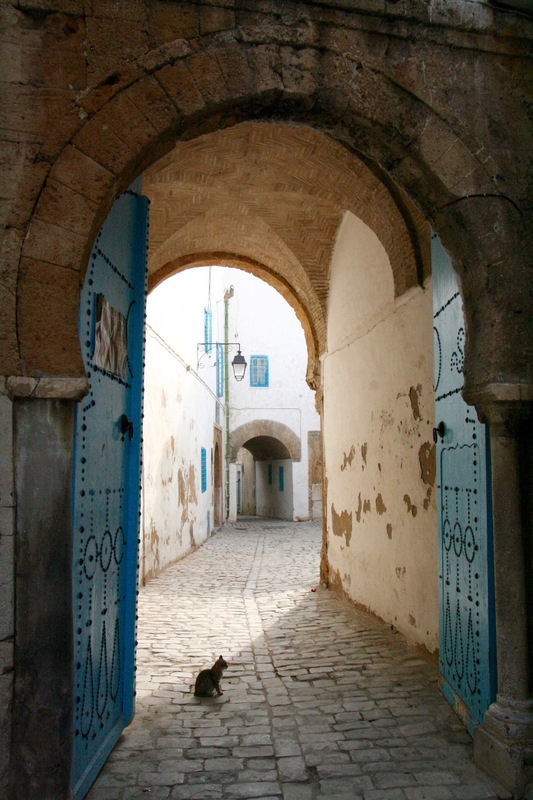 It gives you a real sense of the history, from ancient Carthage onwards, that forged the modern city. The birth place of Hannibal (famed for his elephant exploits), Carthage once controlled North Africa and the southern half of the Iberian Peninsular. Three Punic Wars against Rome (264 – 146 BC) would ultimately decide the fate of both the city and the region. Carthage was mercilessly put to the sword by Roman general Scipio in 149BC at the end of the third Punic War. While he burned the city to the ground, destroyed the walls and sold 50,000 Carthaginians into slavery, he almost certainly didn’t salt the land. This corner of the Mediterranean was the epicentre of the ancient world, the centuries of battle for supremacy between Carthage and Rome one of the defining periods in the history of Western civilisation. It’s worth pondering upon what the world might look like today if Rome had lost the struggle for hegemony over the Mediterranean – we’d probably be eating less pasta and a lot more hummus and harissa. No bad thing to my mind. 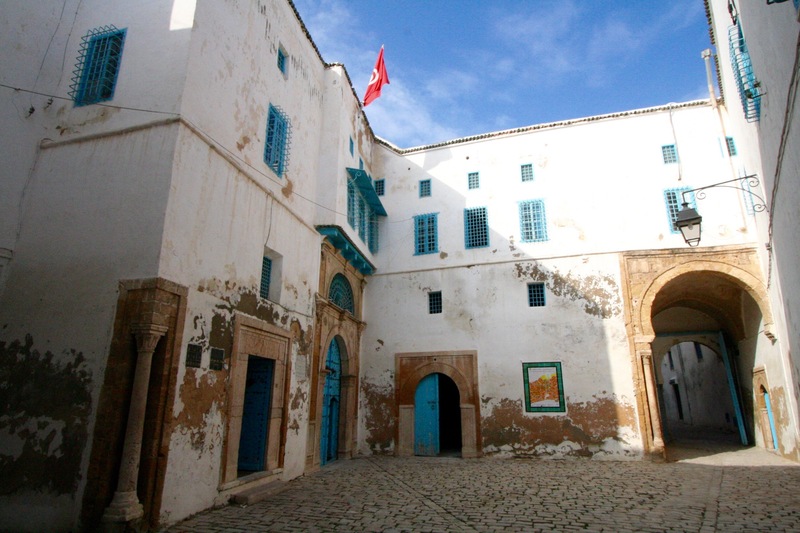 In its medieval heyday between the 12th and 16th centuries, Tunis was one of the most important and wealthiest cities in the Mediterranean. 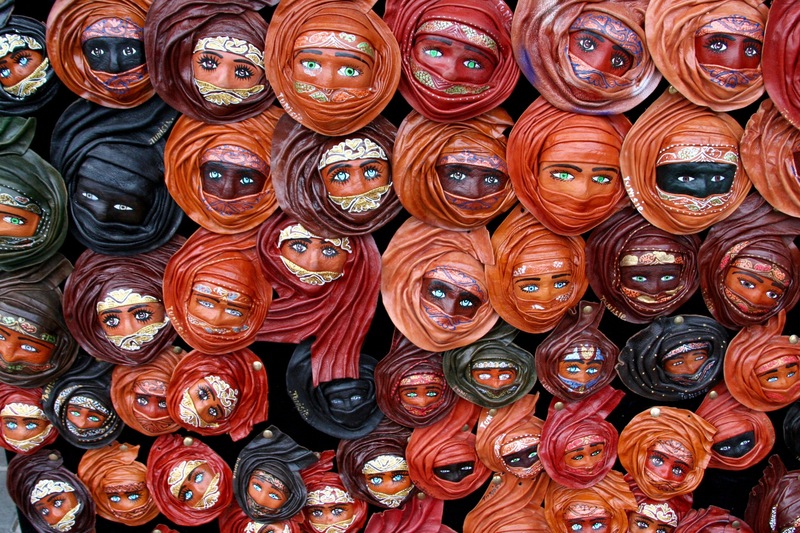 During this time the 8th century medina thrived, its maze-like streets filled with palaces, mosques, shops and cafes. 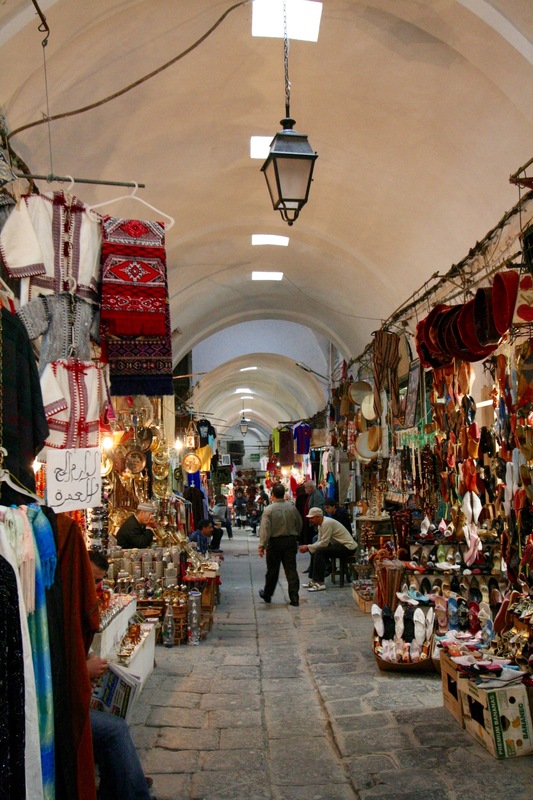 In its narrow, atmospheric alleyways, you can (literally and metaphorically) lose yourself. 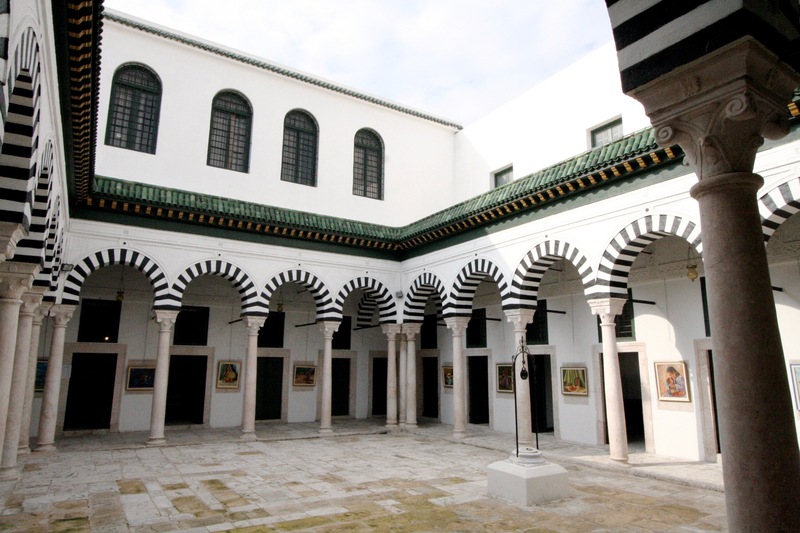 There are over seven hundred historic monuments within the medina, just one reason UNESCO has given it World Heritage status. It’s impossible to not find yourself lost at some point when you’re weaving through the medina, but that is part of the joy of it. There’s an official walking tour and useful maps, which is fine if you manage to stay on the route. Otherwise, trust to luck and the help of strangers to find your way back to something recognisable. 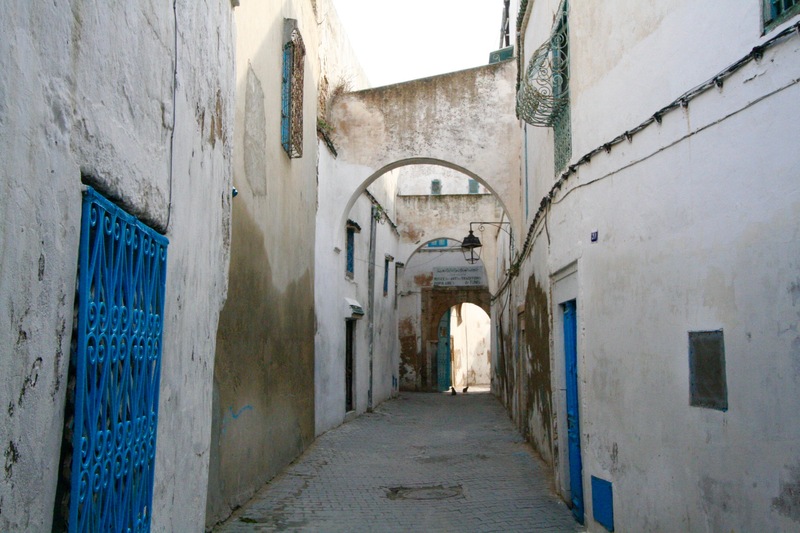 I spent most of the morning in the medina, afterwards I made my way back to the Place de la Victoire and the TGM metro, which takes you to the suburbs of Carthage and Sidi Bou Said – yes, Carthage is a suburb. I jumped off to visit the eerie Salammbo Tophet, a cemetery where the Carthaginians are believed to have sacrificed children. Tombstones with human figures carved onto them litter the ground have. The claims of ritual child sacrifice were disputed as Greek or Roman propaganda until recently, when research (more or less) conclusively proved it to be true. 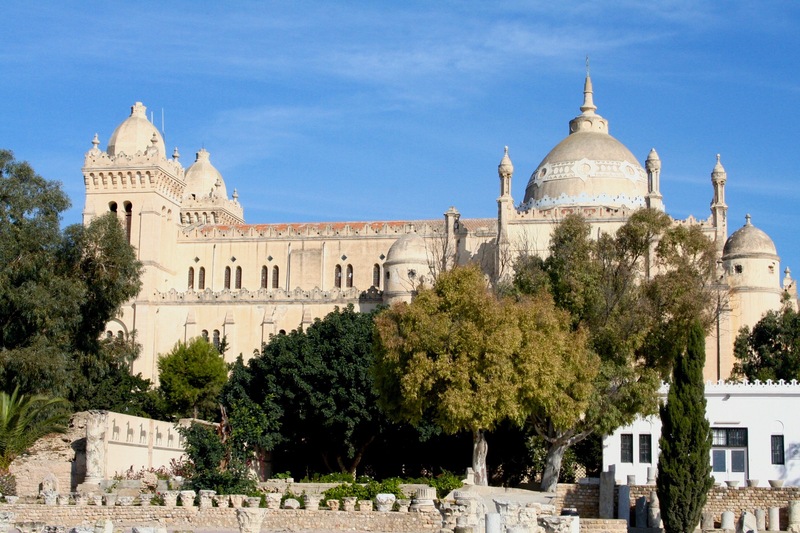 It was a relief to leave and I set off for a walk through the streets to reach Cathédrale Saint Louis de Carthage, which sits at the heart of ancient Carthage. A visit here deserves more time, but I saw a number of Carthaginian and Roman ruins in the archeological park before hopping on the train to my final destination of the day, Sidi Bou Said. 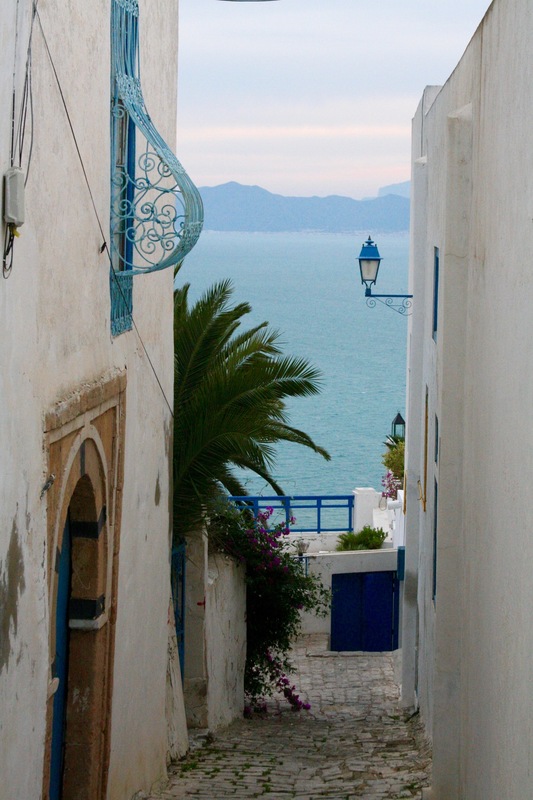 If you’ve ever seen a tourist brochure photo of Tunisia, this picturesque blue and white village overlooking the sea was likely featured, and with good reason. 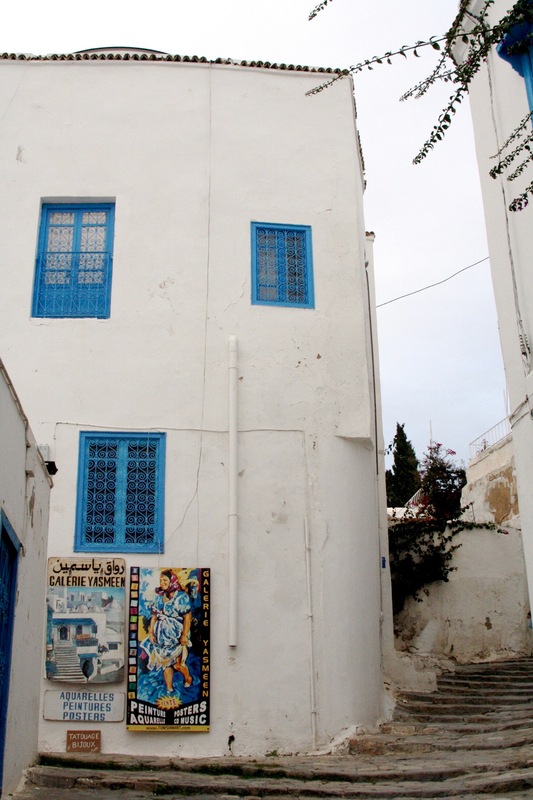 Home to an artistic community and several good restaurants and cafes, it makes for a restful place to watch the sunset and to contemplate the reasons why someone would return to Tunisia. Hi Paul. Long time no hear. I’ve been a tad out of the blogosphere. Pressing matters! Hi Brian, welcome back I was beginning to get worried. I wondered if I’d somehow stopped receiving your posts, but visited the blog and realised you’d been keeping a low profile. Glad to see a new post – I remember that tower in Bogota. All well here thanks, too busy and struggling to keep pace with the blog. Hope you’re doing well, and happy New Year! Thanks. Good to be back. I just didn’t post anything in nearly two months. Too much stuff to take care of. Maintenance, taxes, red tape. Part of it is done. I’m probably half way through. How’s the winter in Berlin? ‘Hope you are settling in. Cheers. And best wishes. Haha! Life admin is the right word. Unavoidable. I hear Europe has had a show of sun these past few days? Enjoy. Indeed, spring has arrived in February! We live in strange times Brian. I’ll send a memo to the appropriate authorities. What a beautiful place! The markets look amazing. It’s a really beautiful place, I wish I’d stayed longer.